It doesn’t always take a complete redesign to improve your website traffic and engagement. Do it quickly using these quick and easy tips. Prominently display your Toll Free (or Local) Phone Number at the top of all your pages. In the top right-hand corner, in a size and color that will make it easily seen. This is an item where function over form pays dividends. 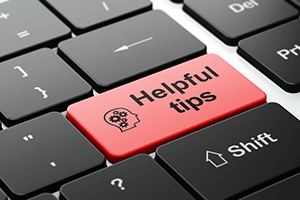 Review your contact information, and update it if needed. We believe your contact info should be in the footer of every page. 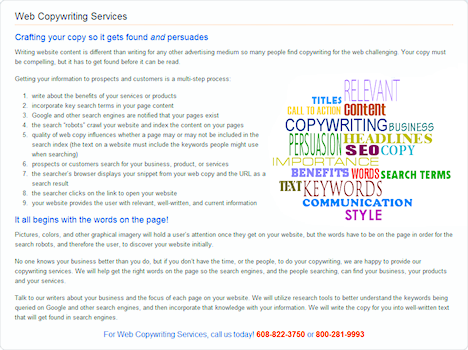 Identify your audience, and start your copy with the benefits you offer them. You only have moments to convince visitors to look at more. Don’t place your value proposition at the bottom of the page. Real, verifiable testimonials can help change a visitor to a customer. Having canned-appearing testimonials from a name with one initial for either name is simply a waste of time. We often talk about important key elements of a well written landing page when we are talking with clients and prospects. Every page on your website is a potential landing page, so it doesn’t hurt to mention these key elements even more frequently. Of course, pages vary greatly due to the nature of their content. However, there are some basic tenets that should be nearly universal. Here are some key elements that should be included in nearly every page. Makes for easy scanning — Did I see this somewhere before? 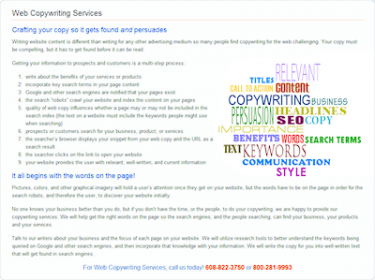 Call us today at 1-800-281-9993 or 608-822-3750 for help with your landing pages. Every page on your website is a potential landing page. Too many people still believe that nearly everyone sees the home page first when visiting a website. That is far from the reality. You need to treat every page as a landing page that conveys your message, or describes your product or services effectively. Did I mention calls to action in the key elements of landing pages? We could be “Putting The Web To Work For YOU!” Call 1-800-281-9993 or 608-822-3750 today! if you want it read. First Impressions are important! How does your website look? First impressions matter. In today’s world, the first impression of your business is made by your website. Does your website present your business as professionally as you do when you are meeting someone for the first time? Before meeting or greeting prospective customers, most of us generally take a look in a mirror to make sure we don’t embarrass ourselves. We check our smile, our hair, and our clothes. We polish our shoes or in my case, boots. Sometimes we practice our greeting. Why? First impressions matter. When was the last time you seriously looked at your website? How does it look? How does it read? How does it navigate? Here are some of the tasks that you may not realize we routinely perform before launching new or redesigned websites. Of course, they will have already been Search Engine Optimized. Cross-browser and cross-platform testing and tweaking. Create a Google Analytics account, and add a Google Analytics code snippet to each page of your website. Create and configure a Google Webmaster Tools account, and a Bing (and Yahoo) Webmaster Tools account as well. Link the Google Analytics account with the Google Webmaster Tools account. 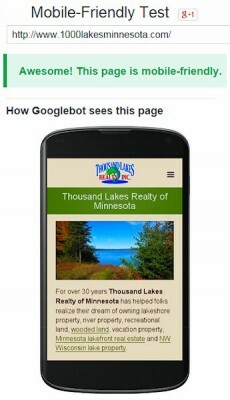 Add a link to your website on the WebWise Design & Marketing Client’s page (which gets visited daily by Google bot). Send a Tweet about your new website. Yes. Those tasks do take time, but you deserve to have everything about your website done right. Ask your web developer (or yourself, if you do your own website) if they do these things for you. 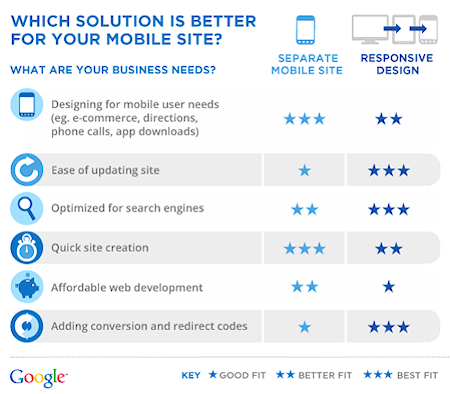 Mobile Website or Mobile-friendly Responsive Design Website: Which is Better for Your Business? For most businesses, considering a mobile-friendly web presence is not really optional anymore. Very few businesses can afford to ignore the explosion in growth of smartphone and tablet users who are looking for businesses just like yours. You are likely getting emails and phone calls or have seen on the web offers to create mobile websites, mobile-friendly websites (some, using responsive design) or an app. Of course they are promoting the specific mobile solution they offer, whether it is the right solution for you or not. If they try to sell you an app to take the place of a mobile website or a mobile-friendly website, grab your billfold and run. So, what do you do? Talk with someone you trust who will explain the differences in all of those mobile buzzwords and will help you decide which mobile solution is best for you. The type of business you have and how you interact with your customers and prospects are key factors in deciding your mobile web strategy. Mobile websites, or mobile-optimized websites, are versions of a regular site optimized to look great on all mobile phones. Additionally, most mobile websites take advantage of advanced capabilities of mobile phones, such as a ‘Click-to-Call’ button that places the call when clicked. Or, a ‘Find Us’ button that goes to a map centered on your location. Mobile-friendly websites created using ‘Responsive Design’ allow having only one website that will adapt to the device on which it is being viewed, whether it’s a laptop, smartphone or tablet. While that sounds ideal, there are technical challenges. 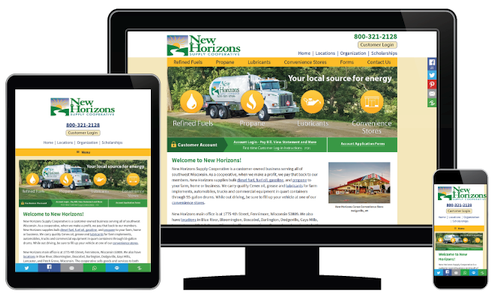 A website built with responsive design will automatically resize for different devices. But when the site has to squeeze down to a much smaller screen, decisions have to be made and coding has to be done as to which content is displayed well, if at all. Depending on the size and complexity of the website, using responsive design can be costly in time, which of course, is money. So what does all of this mean for most businesses? Mobile websites, mobile-friendly websites and mobile advertising are disruptive. They are new concepts of doing business. They should not be dismissed or ignored. They are effective, and they become more effective with every smartphone and tablet sold. For many of you, not having a mobile web presence and strategy will ultimately cost you much more than having a mobile web presence. 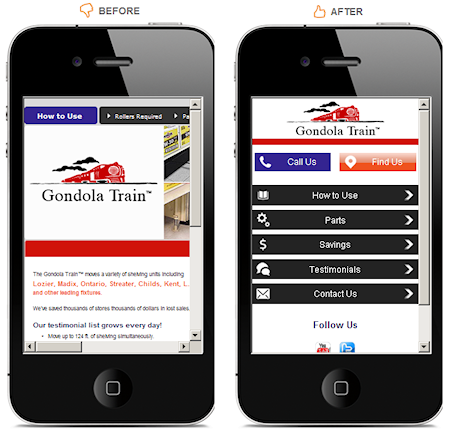 Please email gomobile@webwisedesign.com or call us today at 1-800-281-9993 or 608-822-3750 to talk about which mobile presence will work best for you.